A wide variety of annuals grow in Wisconsin thanks to the state’s mild to warm summer climate. While annuals only live one year, they add plenty of color, texture and variety to summer gardens. These versatile plants work well as accent plants, to fill spaces between other plants or to provide masses of color in borders or flower beds. Annuals also work well when planted on top of fading bulbs. These native plants from the southwest add lots of color thanks to their long-blooming flowers. Gardeners can choose from dwarf zinnias that reach just 6 inches in height, or they can plant zinnias that grow up to 4 feet tall. The flowers resemble rounded buttons ranging in size from small flowers to blooms 7 inches wide depending on the variety. Blooms vary in color including shades of red, yellow, white and orange. Zinnias thrive in full sun in USDA hardiness zones 3 to 10; the plants may be transplanted from containers or grown from seed sown in the spring after danger of frost has passed. The blooms also make great cut flowers. The pansy is actually a short-lived perennial, but most Wisconsin gardeners grow it as an annual since it dies back in the winter. Pansies come in a variety of colors and sizes, from mini-pansy varieties to the large, colorful blooms several inches across. 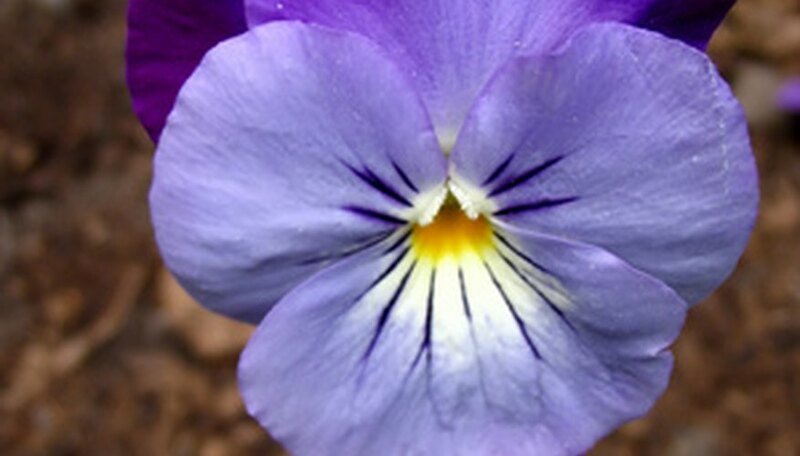 Growing in hardiness zones 4 to 8, pansies can be added to gardens in early spring where they provide color when bulbs and perennials are just starting to spring to life. The easiest way to add pansies to a garden is to use transplants planted 6 to 8 inches apart. To keep pansies blooming as long as possible, faded blooms should be pinched off the plant. Regular watering keeps the plants looking fresh for most of the summer. Hundreds of petunia varieties give gardeners plenty of choices when it comes to planting this old-time favorite. Petunias fall into four categories including grandiflora, known for its 3- to 4-inch flowers, and multiflora, a compact petunia with small but bountiful blossoms. Milliflora consists of miniature petunia sporting abundant flowers about 1 inch wide, while the final category, groundcover petunias, consist of rapidly spreading petunias that only grow to 6 inches in height. Blooms range in color from pinks and purples to white, red and yellow. Petunias grow in hardiness zones 1 to 11 in full sun in well-drained soil. All categories of petunias except for spreading only need regular watering, even on hot days. Spreading varieties require more frequent watering.